Metro Vac N Blo® Pro Commercial Series Wall Mounted Vacuum Cleaner 112-112877 - California Car Cover Co. The Metro Vac N Blo® Pro Commercial Series vacuum has all the same great features as the Pro-Series model and takes it up a notch by adding a variety of Car-Wash Quality Attachments. 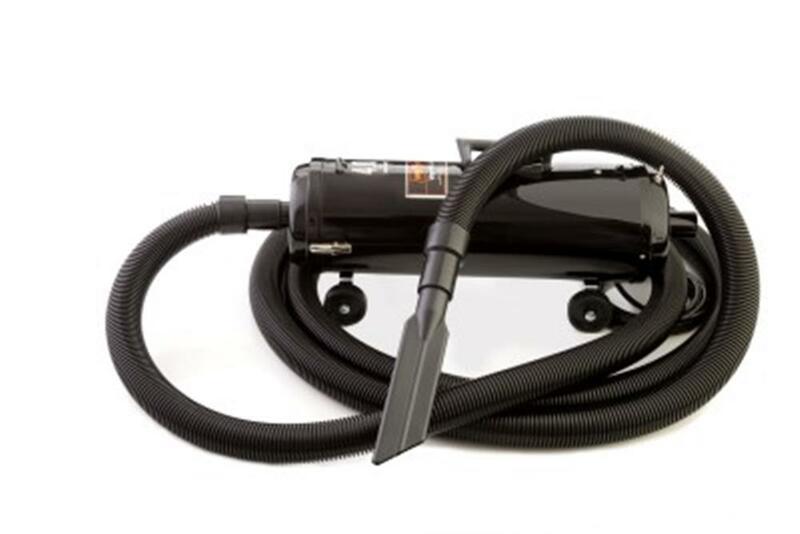 Providing exceptional power this full-size vacuum cleaner/blower features a body of steel with a 4.0 Peak HP, twin-fan, industrial quality motor, a 30-foot 1.5” commercial cash wash quality “crushproof” hose, 1.5” “claw-style” upholstery/carpet tool, 1.5” crevice tool and 1.5” to 1.25” hose cuff for use with the 20” Extension Wands. A full range of attachments to reach every nook and cranny of your vehicle’s interior! The hose bracket and tool caddy keeps it all neat! 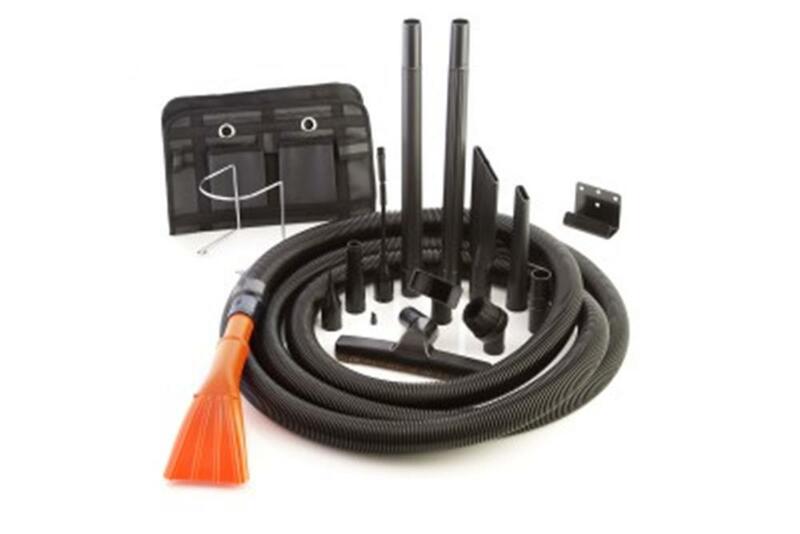 The complete Metro Vac N Blo Pro Commercial Series package with accessories includes; Dual Power Unit with wheels, Wall mounting bracket, 30-foot Commercial Quality Car Wash Hose, Car Wash Quality Upholstery/Carpet Tool, 1.5” Crevice Tool . 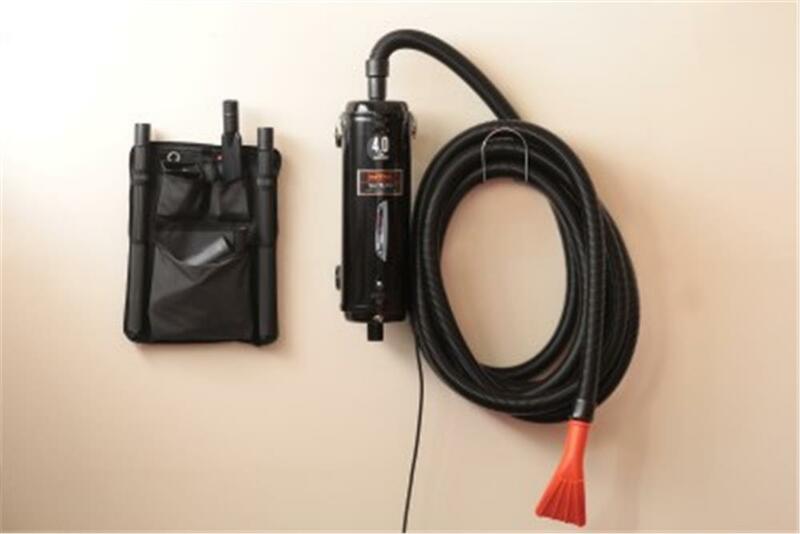 1.5”—1.25” hose cuff, 2-20” Extension wands, 4-Pc Micro detailing kit, Shoulder strap, Blower nozzle, Floor brush, Inflator adapter, Pik-All Upholstery nozzle, Dust brush, Crevice tool, Hose bracket, Attachment holder, 3-paper bags, assembled with 12ft. ground corded set. Conveniently mounts to the wall or roll it over to your favorite car. Made in the USA and backed by a 5 year warranty.